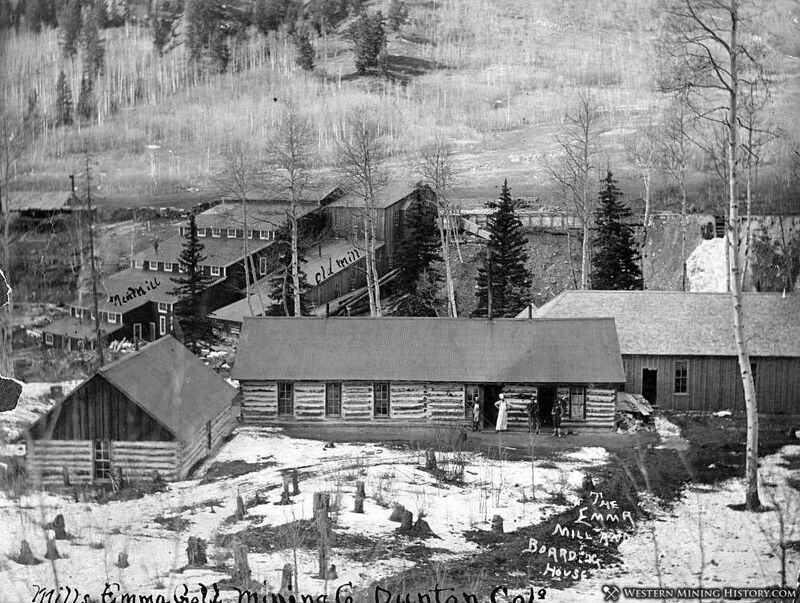 Dunton was a remote mining camp that never had a rail connection closer than 9 miles away. Development of the nearby mines was slow until Eastern investors bought the Emma Mine in 1897, and proceeded with rapid development of the mine. The mines and town peaked around 1905 but by 1910 both were in decline. By 1908 the town was deserted. Advertisements in October 1904 editions of the Daily Journal in Telluride stated "Good-miners wanted at the Emma mine , Dunton, Colorado". The ghost town of Dunton became part of a large cattle ranch which was likely the main reason that the buildings in town were spared from vandalism and salvage over the years. In 1994 the entire town was purchased and renovated, becoming a high end private resort.